Only a few days ago, both Khabib and Conor reached settlements with NSAC. In the best case, both fighters will be eligible to return to Octagon in April. But Khabib Nurmagomedov wants to stay loyal to his comrades, so don’t expect his big return before November 2019! According to Khabib’s manager Ali Abdelaziz, it’s not over! And the rematch could happen on any location! Khabib Nurmagomedov and Conor McGregor are going back and forth on social media for a long time. “The Notorious” recently reminded “Eagle” about “a final blow of the night”. But the undefeated Dagestani offered an interesting response too. Ali Abdelaziz is not impressed with Conor’s king-size mouth. Well, Dana White said the rematch between these two legends should happen in 2019. It is possible if the two don’t meet somewhere else. 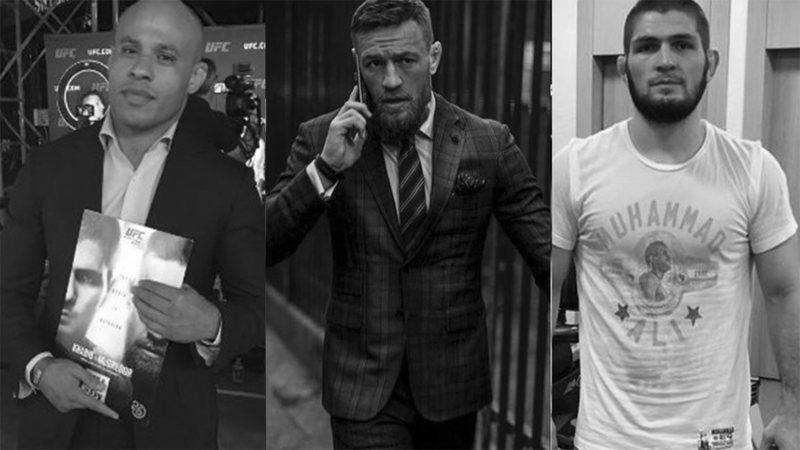 It looks like Ali Abdelaziz is still furious about McGregor’s words. Would you like to see Khabib Vs Conor rematch outside of Octagon? Khabib Nurmagomedov Offered Monstrous Payday For Conor McGregor Rematch!